Ghostbusters: Character Posters & Team Shot Released! Character posters and an appropriately shaded team shot have been released for Sony’s Ghostbusters reboot. So, who you gonna call? Starring Melissa McCarthy (above), Kristen Wiig, Kate McKinnon and Leslie Jones, Ghostbusters is a Paul Feig film and will be in theaters on July 15, 2016. Follow the jump for more. 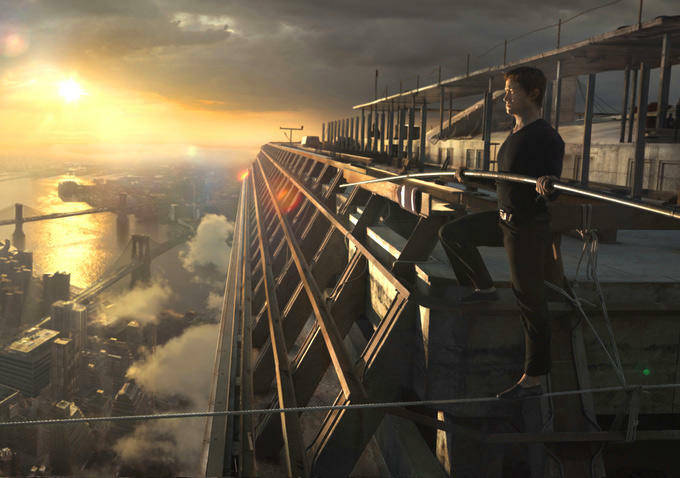 The Walk – A Charming Ascent into a Kind of Madness! On August 6th, 1974, Philippe Petit, a French high wire artist, hung a wire between the twin towers of the World Trade Center and walked it not once, not twice, but three-and-a-half times. The story of the famous walk was the subject of an Oscar®-winning documentary, Man on Wire. The Walk tackles the subject somewhat more intimately. Based on Petit’s book, To Reach the Clouds, Robert Zemeckis’ film approaches the story from Petit’s point of view. It is both charming and terrifying (not a movie to see in IMAX if you have a fear of heights – the 3D is… intimidating). Infiltration Trailer: The 5th Wave! Aliens have devastated the Earth with four waves of attacks, during which Cassie lost her younger brother. In order to find and save him, she must put her trust in a young man she’s never met before – but the aliens can take on human hosts, so how can she trust him? 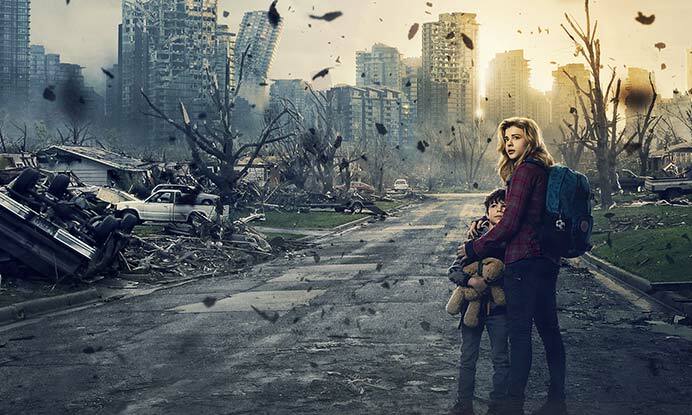 This January, The 5th Wave is coming…and you can’t trust anyone anymore. Movie News: Sony’s Upcoming Films, Dungeons & Dragons Film, the Tone of Doctor Strange, and More! On this special episode of GeekScholars Movie News, the hosts sit down to discuss their favorite news stories of the year. Everything from the casting of Star Wars: The Force Awakens to the Sony hack, the GeekScholars reminisce on what headlines had the most impact on them. Also included in this week’s show is a retrospective look back at the films the hosts named as their Most Anticipated Films of 2014—which films lived up their hype, and which ones fell short of expectations? First Look: Scary Stuff From Goosebumps! Remember the Goosebumps TV series? Aimed at kids but smart enough for adults? Yeah, that’s the one. It’s getting a movie that uses the author (played by Jack Black) as the entryway into story. It seems that R.L. Stine wrote about real monsters and keeps them from his readers by trapping them in his books. Odeya Rush plays his daughter, Hannah, and Dylan Minnette plays Zach Cooper – who accidentally sets the monsters free. Now the three of them have to recapture the monsters! Check out four more photos and the official synopsis of the film after the jump. Goosebumps will premiere on August 7, 2015. Anonymous –Historical Flummery as Fun Political Thriller! Roland Emmerich – he of Independence Day, 10,000 B.C. and 2012 [to name but a few] – takes one of the many theories on who really wrote the works of Shakespeare and turns it into a political thriller that blames all manner of events on… writers? Zookeeper Just Kinda Rolls Along! 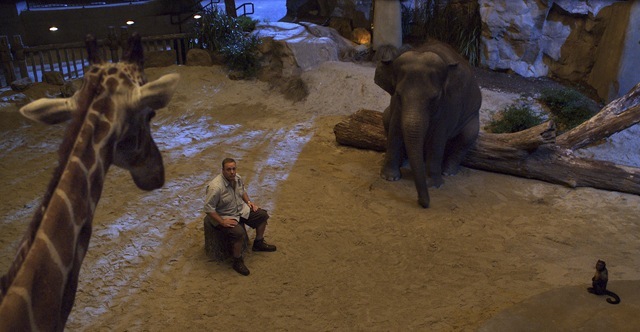 Frankly, Zookeeper is better than it has any right to be. They really are pushing the 3D TV “revolution” this fall – too bad there’s no 3D content to actually watch. Sony is adding 3D to it’s new midrange NX800 Seriesof Edge LED lit HDTVs that came out earlier this year. The 3D will add $200 to the price tag and will include two 3D Blu-ray movies and a voucher to download free 3D games on the PlayStation Network. The televisions will include an ambient light sensor and Sony’s Bravia Internet Apps. I don’t know, every time I’ve seen a Sony 3D TV display it’s been pretty substandard compared to Mitsibushi and Samsung’s 3D TV Offerings and Sony is crazy with their pricing – 46Inch will set you back $3,000, 55 inch – $3,700 clams and the monster 60 inch will set you back $4,700 and they don’t even give you a free set of Glasses!